I’ve never been a huge egg mayo fan. It would never have been my choice of sandwich. 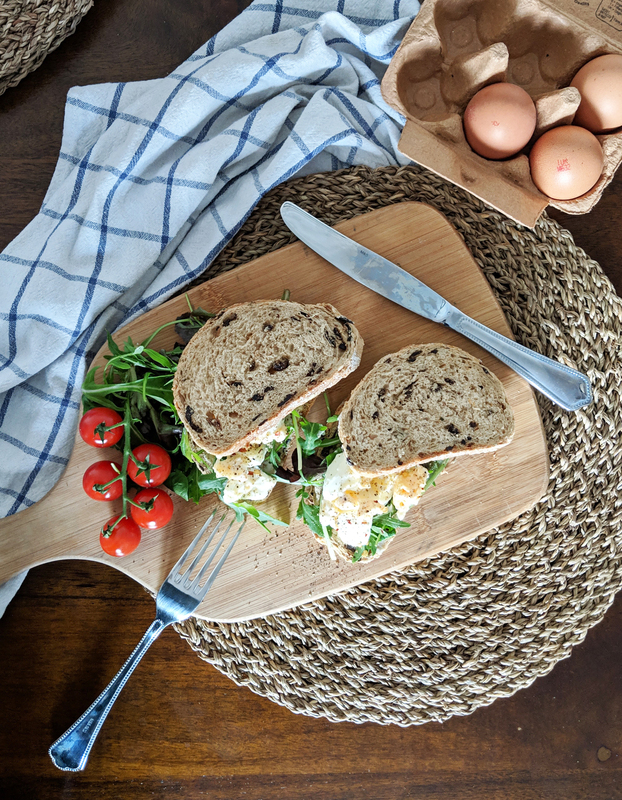 However, a colleague had a homemade egg sandwich for lunch last week, and it looked delicious. I’d never thought about making egg mayonnaise myself before. 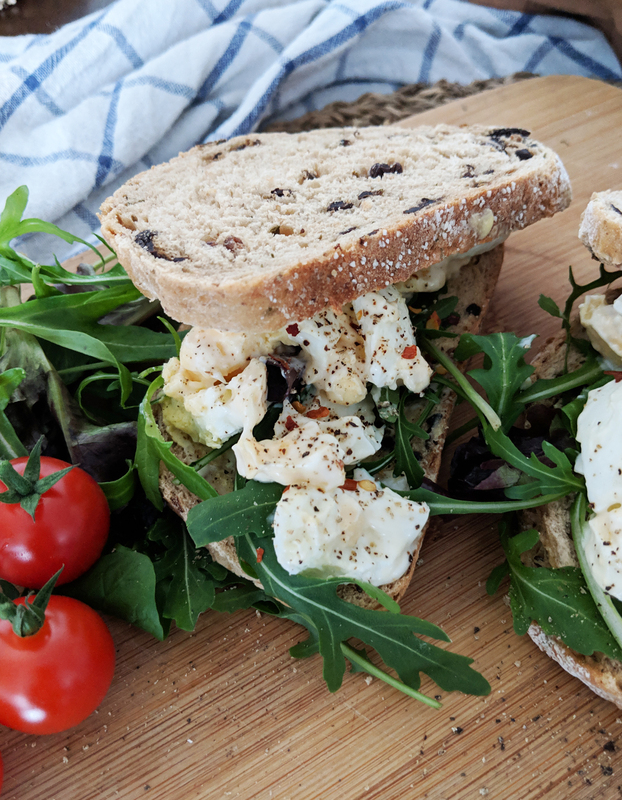 So the following weekend, I bought half a dozen free range eggs, Hellman’s Mayonnaise and made myself this rather tasty sandwich. I sort of free styled with the quantities and timings, and with a little bit of seasoning, you can really make it to you personal taste. Begin by placing your eggs into a pan of boiling water. Gently place them in and out for a few seconds, before submerging them completely, to reduce the risk of cracking. Boil for 10 – 12 minutes. Once the eggs are cooked, remove them from the boiling water into a cold bowl. Run cold water over them for a few minutes, until they begin to cool. Peel the eggs, and add them to another bowl. Gently break them up with a fork or spoon, add mayonnaise to your taste and mix together. Season with a little salt and lots of black pepper. 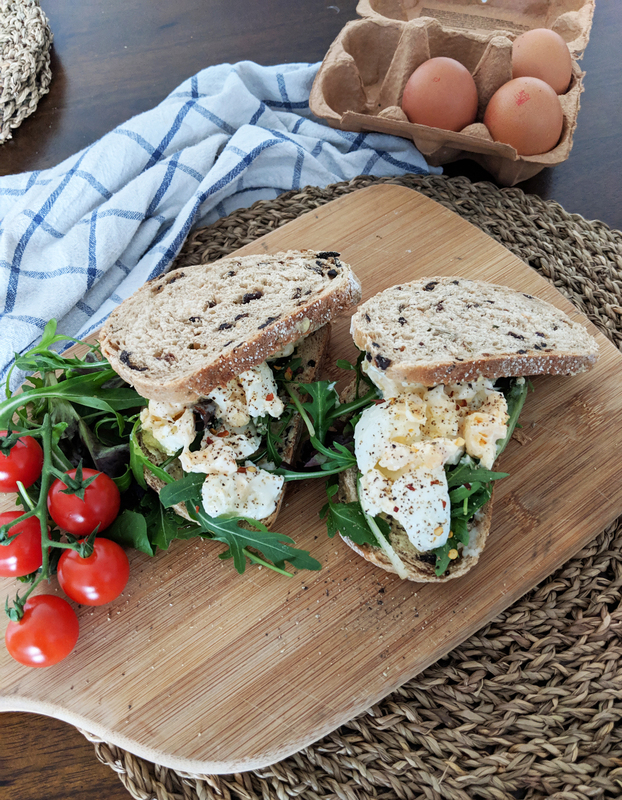 Butter two slices of bread, add a handful of rocket and spoon over your egg mayo mixture. Dust with a sprinkling of chilli flakes and serve with some fresh cherry tomatoes. 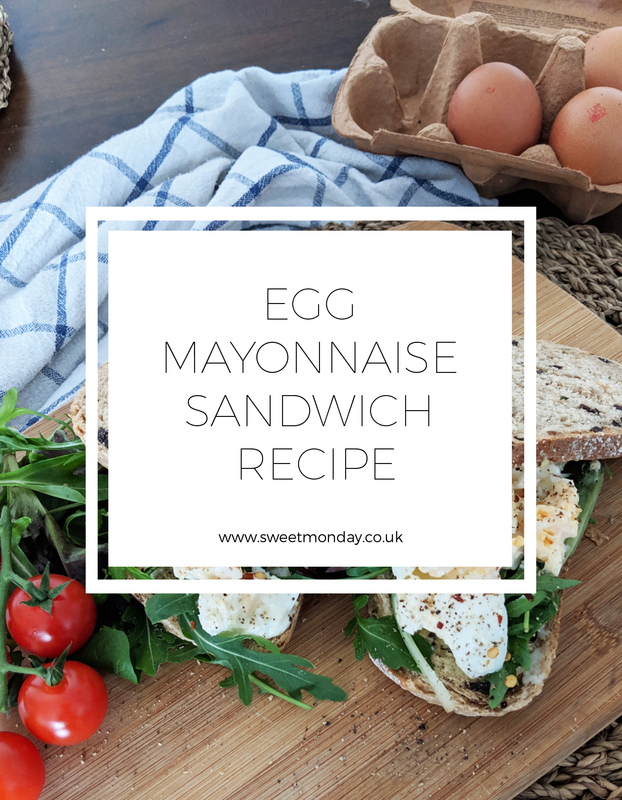 Do you like egg mayo sandwiches? Would you make one yourself?